The FIFA World Cup is probably the biggest sport even in the world. The Russia 2018 tournament is cause for continuous celebration, and there is more than one way you can celebrate. Feast on some of the best World Cup slot out there, released exclusively to pay tribute to the biggest soccer tourney there is. Genesis tells it like it is – their World Cup-themed slot release is called World Cup Football and you get to go for the goal from the first spin. Genesis Gaming has a 200+ portfolio, and even though it is a smaller studio in comparison with the industry giants such as NetEnt or Microgaming, it features some unique and striking games. World Cup Football has 5 reels, 50 paying lines and features you can combine and profit from. 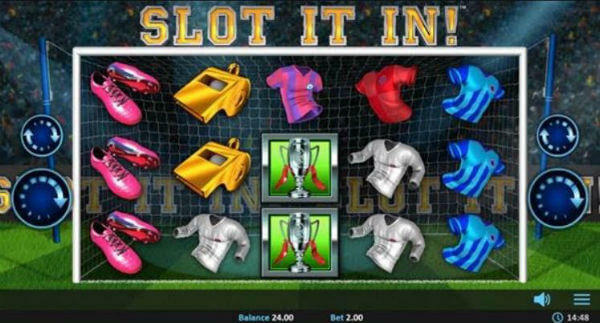 The slot has an upbeat, motivational soundtrack and animated soccer player symbols. World Cup Football offers you free spins, re-spins, locked Wilds and a Nudge feature, among other treats, as well as an RTP of 97.1%. Without a doubt the best sport slots machine you can find in terms of winning odds. Three logo symbols trigger freebies, whereas locking the first reel gets you into the re-spins round. Score a winning combo and you’ll see balls and coins flying all over the place. Off to the stadium with you! Made by Realistic Games, Slot It In starts with a pun in the title and ends any way you like it. The reel grid is set against a goal area and by proper spinning you need to defend your goal and score wins on the other side. The multitude of soccer props will help you: a trophy, a ball, a referee’s whistle, a pair of pink soccer boots and four jerseys of different colors. The game dispenses with Wilds symbols and goes straight to the bonus: land matching symbols on each reel in a single spin and you’ll activate a special, flashing light. Click on ‘Spin’ one more time and see the light move across the reel positions, while the initial reel remained locked. When the light stops it will reveal at least one symbol which matches with the chosen reel. Hopefully, that brings you a worthy payout! It doesn’t end here. Check 4 more special sport slots below the table, plus what Eden Hazard has to do with it. NextGen Gaming decided to throw a tournament on its own and call it the Top Strike Championship. It is a large-scale event with multiple nations competing for the cup and you need to determine which teams will reach the finals. You will see two focused players on the reels, a goalie, a Top Strike Championship Scatter symbol and a ball Wild. When you enter Free Games mode (collect three or more Scatter anywhere on the reels and win from 10 to 20 freebies), the playing card symbols are replaced with a pair of soccer boots, a referee’s whistle and goalie gloves. 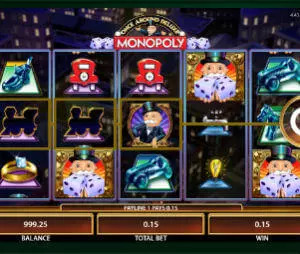 During free spins, the player can activate the Treble Bonus – the player is required to use the Golden Tickets placed on the fifth reel to lead three teams into the Knockout Stage. Choose wisely and win multipliers and cash prizes for your successful soccer strategy. Knockout Football by Habanero is here to spread the football (soccer) fever everywhere. This thematic video slot does justice to the Russia World Cup by taking the action from the field and transferring it onto your desktop computer, tablet, or mobile screen. The basic symbols in the game are a stadium, boots, goalkeeper’s gloves, a whistle, and playing cards from 9 to Ace. The ball is the Wild and appears on reels 2-5. The cup is a special Wild that appears only on the center reels, and if you collect 6 of them you will enter the Knockout Free Games feature. 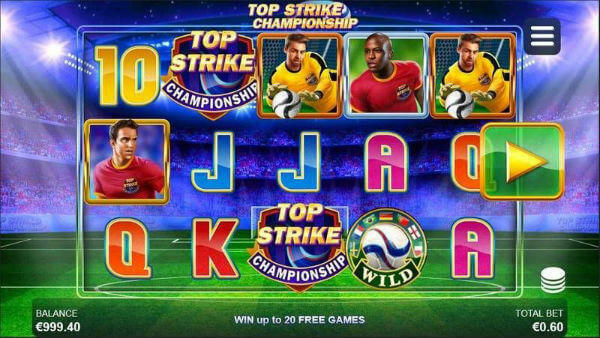 Which leads us to the bonuses: Knockout Football has the Super Striker feature and the Knockout Free Games round. You need to collect three Wilds to trigger the Super Striker Feature on any random spin that follows. Wilds will turn into special Wilds and a footballer will kick them only to watch them fall on random positions and increase Wild payouts. In the Knockout Free Games feature the spinner is awarded a random number of free spins and will face an opponent team in a real football match. As soon as you load Hat Trick by Spigo you will hear the crowd cheering at the stadium and you’ll know it’s come down to scoring big or leaving the pitch hat-tricked yourself. The competitive side of you can roam free across the reels, as you spin the columns of Hat Trick, new video slots with 5 reels and 178 win lines. Symbols include flags, caps, jerseys, match tickets, beer and snacks, and trophies. 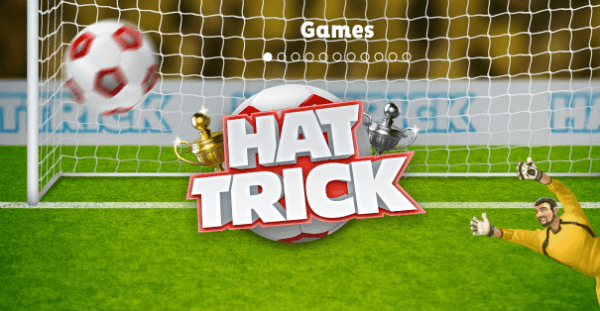 The Hat Trick logo is the Wild, whereas the ball is the Bonus symbol. Hat Trick, in soccer jargon, means that the player has scored 3 goals in one game. Hat Tricks score is our book for offering 3 lucrative and fun bonuses: the Hat Trick free spins mode, the Penalty Kick feature and the Betting Coupon bonus mini-game. You will play for multipliers, cash prizes and the Jackpot Spin. Play until the whistle blows! Play’n GO may be the first slot developer to release a soccer-themed game before the World Cup kick-off, launching Hugo Goal in May 2018. Hugo Goal is preceded by Hugo and Hugo 2; this time, the trusty troll assumes the role of a goalkeeper and invites you to cheer him on during an important soccer match in the forest. Hugo Goal is played across 3 reels, 3 rows and 5 paying lines, and comes complete with stacked symbols and three powerful bonus features. The Hugo Wild, the referee, the crocodile supporter and the goat commentator land stacked on the reels, providing flattering wins in the base game. Moreover, the Action Play special feature can initiate randomly on any given spin, awarding the player with a free re-spin that goes on repeat until a win occurs. Other features include Free Kick (another re-spin) and Penalty Shootout, which is a mini-game in which Hugo must defend the goal with your help and secure multipliers from 1x to 10x. Help Hugo lift the championship trophy and he’ll reward you with handsome payouts! You’re a fan of the World Cup, but not that keen on sport slots (or slots at all)? No problem – try out Eden Hazard’s Roulette as an alternative! This special version of roulette has fixed odds and a soccer theme, borrowing the name of the celebrated Belgian attacking midfielder and setting the roulette wheel in the middle of the soccer field. The Eden Hazard’s Roulette wheel has 38 numbered slots, from 0 to 36 and a Hazard bet. The wheel is complemented by two betting tables, the regular betting table and the neighbors table, and the game is played like standard roulette – except the player triggers the Hazard Bonus when the ball lands on the Hazard Bet slot. He/she gets to pick among 20 spots on the screen and reveal cash prizes or trophy multipliers. Also, this pumped roulette version offers two different levels of jackpots that can be won: Eden and Hazard. Remember, the higher you bet, the better the chances of entering the jackpot run!